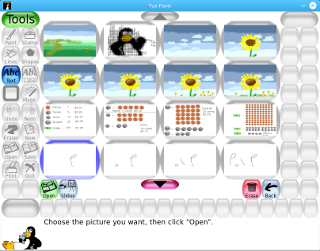 This page includes various screeshots of Tux Paint's interface, and examples of features, put together by the developers. 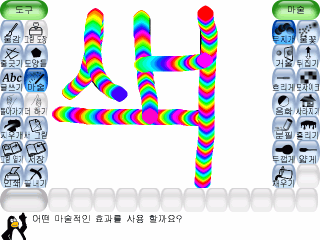 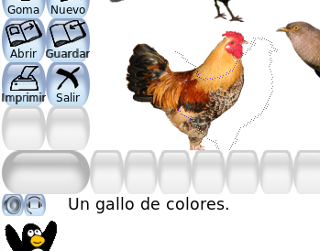 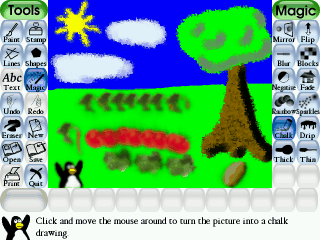 Be sure to check out the gallery for real drawings made by children using Tux Paint! 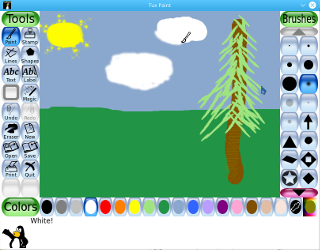 Tux Paint starts with an empty canvas, ready to be drawn on. 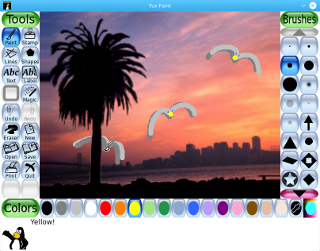 Some 'Starter' pictures include both a foreground (which can't be drawn over), and a background. 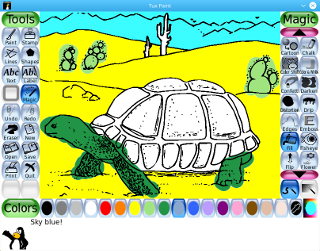 Draw freehand pictures using the various brushes. 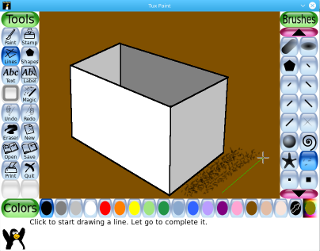 Perfectly straight lines can be drawn with the line tool. 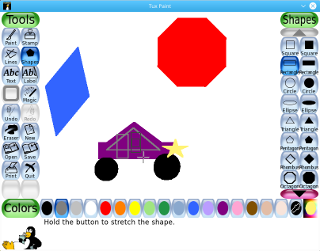 Filled and unfilled shapes can be drawn in different colors and at various angles using the shapes tool. 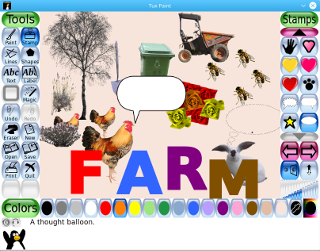 The stamp tool allows a wide array of pre-drawn and photo-realistic images to be added to a drawing. 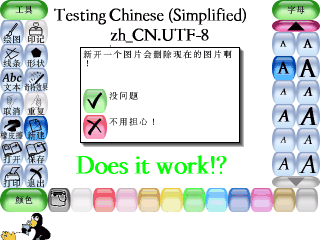 Most stamps can be mirrored, flipped, shrunk and grown. 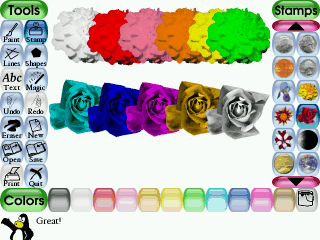 Some stamps can be colored or tinted, like these flowers. 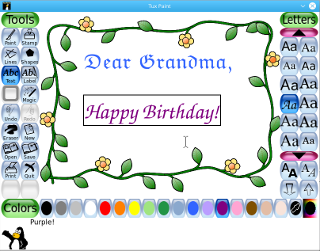 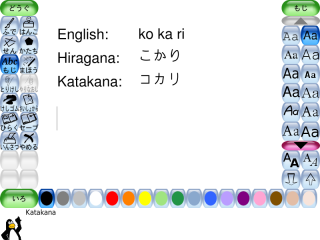 A simple text tool lets children annotate their pictures or create greeting cards. 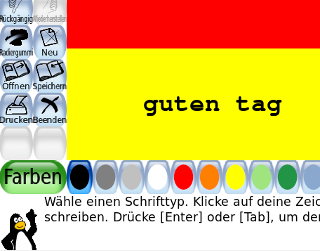 It also helps keyboarding skills! Pixelate pictures with the blocks magic tool. 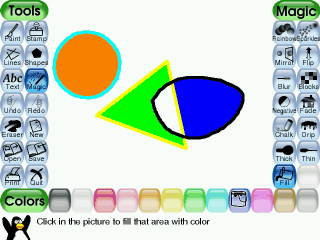 Add sparkles to a picture, or invert the colors. 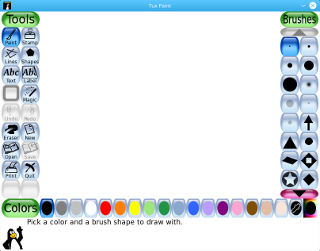 A rainbow of colors can be drawn with ease, and faded later. 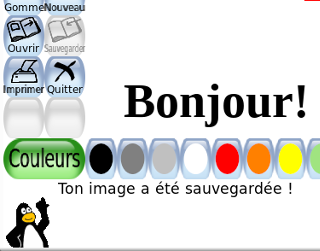 Large swaths of an image can be filled with various colors. 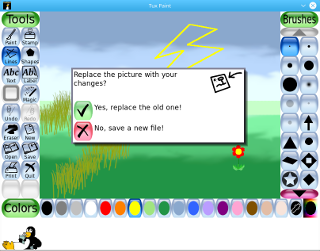 Tux Paint Config, graphical configuration tool for parents and teachers. 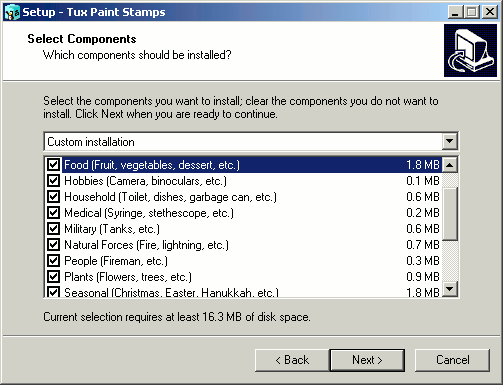 Tux Paint Stamps installer on Windows. 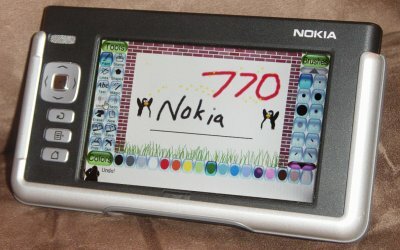 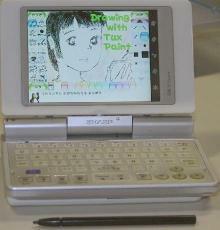 A photograph of Tux Paint running on a Nokia 770 Linux-based handheld computer. 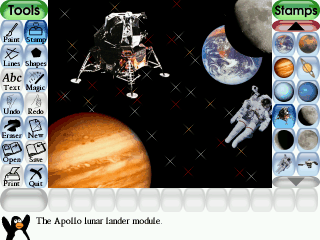 Note: Photo is a combination of two photos, for improved visibility. 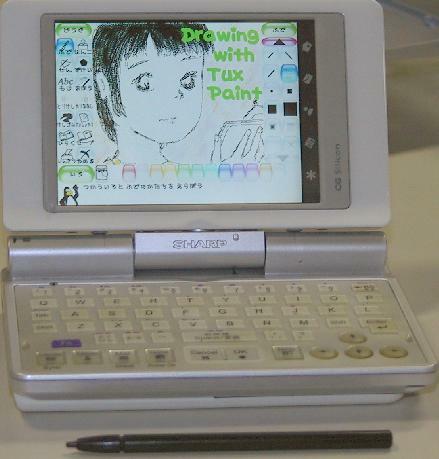 A photograph of Tux Paint running on a Sharp Zaurus Linux-based PDA (handheld computer).